Some of the most common error codes on cars come from ABS and SRS systems. Both the ABS and SRS systems in your vehicle are there for your protection. ABS/SRS diagnostic tools are scanners that able to read and clear fault code on these systems. If you are reading this article, you more than likely are a car owner or at least have a basic knowledge of cars. However, even the everyday vehicle owner may not be knowledgeable about what’s actually happening behind the engine. Engine codes are a complex mathematical code that attempts to deliver messages to the driver about what’s happening under the hood. The question is, what do these codes mean and what auto scanner can help me uncover the hidden problem? 4.1 What are ABS and SRS codes? 4.2 What is an SRS scanner? 4.3 Why should I buy an ABS/SRS scanner? 4.4 Affordable ABS/SRS scan tool? With an ABS/SRS diagnostic scanner, you will have the ability to read codes and make sure all safety measures are in place before putting yourself in harm’s way. Anti-lock brake system or ABS light may illuminate for a multitude of reasons, some may be because of a faulty ABS pump or a bad relay. An ABS problem may be a simple fix that can be diagnosed with a visual inspection of the brakes. 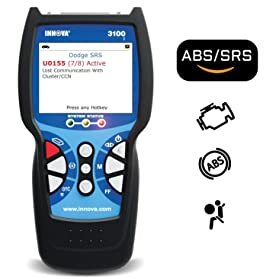 Although, to really detect where the problem is, you will need to retrieve the ABS code with an ABS/SRS OBD2 auto scanner. With these tools, you can snap them on or plug them in, and get an overall scan of your vehicles onboard diagnostics. For the Safety Restraint System or the SRS, this system is composed of impact sensors, a control module, and the airbags. In the event of a collision, these sensors will send a signal to the control module, which delivers this message to the airbags which will hopefully deploy and protect you. When the control module detects an issue with the airbags, the SRS light will come on. Once again, to truly find the root of the problem, an ABS/SRS auto scanner will help you discover what your vehicle needs to be running properly. 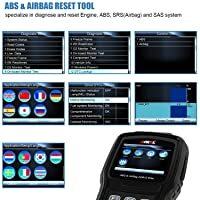 An ABS/SRS scan tool is a necessary tool to identify faults in your engine that can turn on the ABS or SRS engine light. With this review, it is my hope that you can compare different ABS/SRS scan tools and identify the exact product you are looking for. This ABS/SRS auto scanner is a compact, Bluetooth device that works with an application on your mobile device. 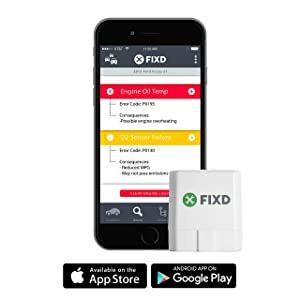 FIXD is a unique tool because it tells you in simple English what the exact problem is with your vehicle, as well as alerting you of the severity and potential consequences of the problem code. If you are looking for a scan tool that has exact code translations and clearly identified diagnostics, you may be looking to buy a different scan tool other than FIXD. For each problem, the application provides videos so you can discover for yourself how to solve it without hefty maintenance fees. 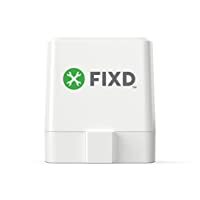 FIXD can be used on multiple cars, it can be a family diagnostic tool that will help you monitor the safety of all drivers and alert you when a problem is detected or a scheduled maintenance is coming up. With live data and freeze frame functions, you can take a snapshot of engine data and stored codes. Maintenance alerts to let you know when you need to go in for a vehicle inspection and if everything is running smoothly. Additionally, you can keep track of the overuse or wear and tear of items such as battery life, tire tread, and windshield wipers. Take note, If your car does not detect any problem with an active code, FIXD will not report it. This device can only function if the code is first activated by your car or engine. Additionally, if your car does not have a sensor for a specific problem, FIXD would not sense it either. If there is no check engine light, FIXD will not find a problem. Fixd monitors ABS, Airbag lights on your vehicle. This device can read and clear engine codes for all vehicles that are from 1996 to the present. For more advanced function, this device pairs well with Ford, Chrysler, Toyota, Nissan, and Honda made vehicles. However, you can also go to fixdapp.com/compatability in order to check the compatibility of your vehicle. Some advanced functions will help you read and understand enhanced engine codes like ABS, Airbag, Transmission, TPMS, and more. Easily read and clear codes– easily access and identify the problem on your vehicle and begin taking steps to fix the issue. Compact- a small device that you can leave plugged into your OBD2 port. Bluetooth connection– handsfree pairing with a mobile device. Simple terms– you don’t have to be a mechanic to diagnose your vehicles trouble codes. Installation complications – you will need the code to set up the application as well as the VIN and Bluetooth pairing code. Application missing back or cancel buttons– the application needs more buttons to help retrace steps. FIXD is an easy-to-use device that is built for everyone. If you are tired of bringing your car into the shop and paying the excessive fees, this device can keep money in your pocket and put automotive language in simple terms. The MAOZUA is an Airbag/ABS/SRS diagnostic scan tool that can help you delete codes and get rid of annoying lights on your dashboard. This device is not handsfree, however with a 2.8 color LCD screen and a handheld, strong connector cable and easy-to-use design, you will have an effective ABS/SRS reader. With this device, you can correct your check engine light by pulling codes from the ECU and SRS, and with some vehicles the ABS as well. MAOZUA has a troubleshooting guide for any potential problems you may have, they also will email you a guide with purchase. The multilingual setup allows the user to diagnose ABS and SRS problems in English, German or Chinese, with the potential for updating to other languages. With an easy-to-carry, compact design, this device has USB 2.0 compatibility, a large clear screen, and free updates. You will be able to read and clear trouble codes with ease, which will save you hundreds of dollars from the mechanic. This tool can reset the airbag in less than 3 minutes, including set-up time with easy navigation. It is equipped with OBD2 technology, ABS code reading, DSC, SRS and more. Additionally, this auto scanner can support clear adaptation and oil reset. Live data stream technology allows you to see upfront what the problem may be and where it is occurring. You will also have access to engine oil reset as well as vehicle specific information. It should be noted that this device cannot connect with every series of the vehicle, as well it is not able to test information such as fuel, injectors or battery. It is recommended that all users check the compatibility of their vehicle before purchase. For high emissions vehicles between 1997-2000, this scanner should allow all functions to work. However, for some series of vehicles, such as Z3 and F36, ABS is not supported. As well for F Series vehicles, this device can only read and clear trouble codes. Fast operating time- reset an Airbag in less than 3 minutes. Quick navigation- easy-to-use, handheld device with clear operating instructions. Cost effective- will save you money in terms of auto dealer visits. Not widely compatible- not all systems are supported by this device. Not supported on MAC- this update and upgrade are only available on PC. 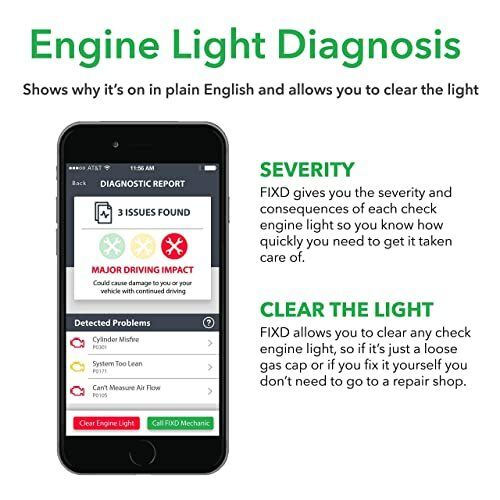 If you’re the type of person who is tired of a pesky engine light or exhausted from the overpriced mechanic costs, this tool may be the tool for you. 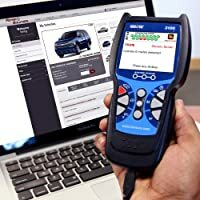 Instead of paying the cost of expensive diagnostics, this tool will keep money in your wallet while giving you peace of mind about your vehicle. The MAOZUA V7.7 is a device that can help the everyday car owner, the DIYer or typical car enthusiasts. The Autel OBD2 Diaglink Code Reader is a scan tool that is capable of accessing a lot more than previous scan tools. With this tool, you have the ability to access every module within a vehicle system with ALL System access, which includes Engine, Transmission, ABS/SRS and more. Users should note, that with this system you can download specific vehicle software for one vehicle for free. All additional vehicle software can be downloaded for a small fee. With the Autel OBD2 Diaglink Code reader, you will be able to read and clear trouble codes on ALL systems. 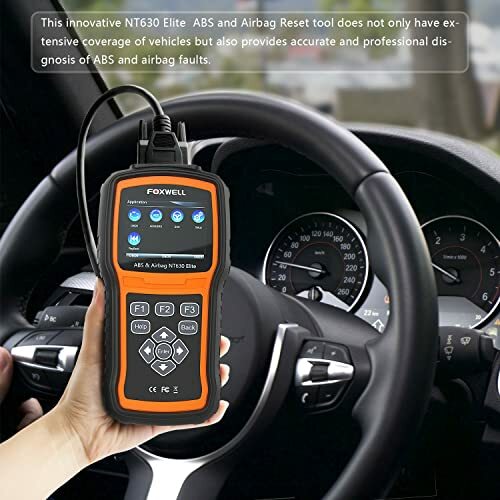 It is more than just an ABS/SRS scanner because this device is equipped with all 10 test modes of OBD2 functions. That means you won’t need to buy additional tools for specific systems. These systems include but are not limited to EPB, SBS, ABS, SRS, plus oil reset. View live data, take freeze frame snapshots, check I/M readiness and monitor your O2 with this advanced device. You will also be able to turn off the ECU and reset the brake warning light in the event that it turns on. Do you have new brake pads you need to set? This tool can do that for you, as well as help you set the thickness and open and close brake calipers. Are you due for service maintenance on your car? Once again, this tool can help. You will be able to reset oil service lights, inspection lights or service lights with a click of a button. For the $106, you get to download the software for one brand-name vehicle package. There is an additional $10 price tag for each vehicle model outside of that package. This Autel device is highly compatible with over 40 different brands of manufacturers. All System services– no additional devices needed, this one can adapt to you. Removable SD Card– with a removable SD card you can transfer information to your PC. Money Saver– save on dealer prices and find simple solutions for your check engine light. Complicated Instructions- the instruction manual is not clear, while some users started using this tool with ease, others have had difficulties. Pay for Additional Vehicles- The one-time cost covers you for one package of vehicles, but not all of them. The Autel Diaglink is designed for the DIY Mechanic, who needs some additional support with vehicle diagnostics. This tool can also be helpful for body-repair shops, used car dealerships, brake and tire shops or transmission repair shops. 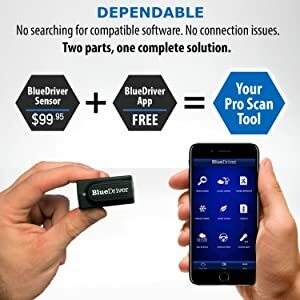 Bluedriver is an advanced Bluetooth OBD2 scan tool that works with an online application to give you professional level reads on your vehicle. The Bluedriver application works with the handheld device that you attach to your vehicle and can set up with your apple or android devices. This is a handsfree device that is easy to use and ensures quality plus all the features and functions of other more expensive scan tools. Clear and read CEL codes from your vehicle even if they are not confirmed codes. You will have access to Pending, confirmed and permanent codes for all models of vehicles. Additionally, you can clear enhanced codes such as ABS, Airbags, Transmission, emissions and more. Not only will you receive the code definition, but you will also be able to view possible causes and reported fixes for vehicle specific codes. Freeze Frame technology allows you to take a vehicle snapshot when a code is stored, as well with Live Data you can display vehicle information as a graph, gauge or digital read. With the Bluedriver Bluetooth OBD2 scanner, you can get enhanced diagnostic reads on most GM, Ford, Chrysler, Toyota, Nissan, Honda, and VW brands of vehicles. While enhanced diagnostics may not be offered on your vehicle, ALL other trouble code readings will function with a vehicles OBD2 port. 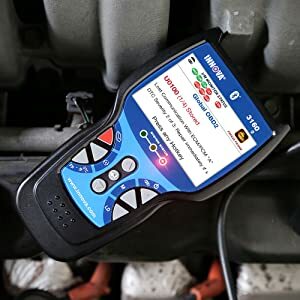 Handsfree- connect to your iPad, iPhone, or Android device to get real-time advanced vehicle diagnosis. Quick Set-up– Easy to power up, use and leave plugged into your vehicle without draining your battery. Convenient– even if your mechanical problems start when you’re in the middle of nowhere, no tow truck in sight, this device can help locate the problem in your vehicle. Diesel Vehicle coverage- for some users this device didn’t offer the exact functions needed to monitor vehicle temperatures. Anyone who likes handsfree car diagnosis. The BlueDriver Bluetooth OBD2 auto scanner is built by mechanics for mechanics in order to turn their handheld devices into proper diagnostic tools. The Innova 3100j is a budget-friendly device that can quickly tell you the cause behind the annoying check engine warning light. 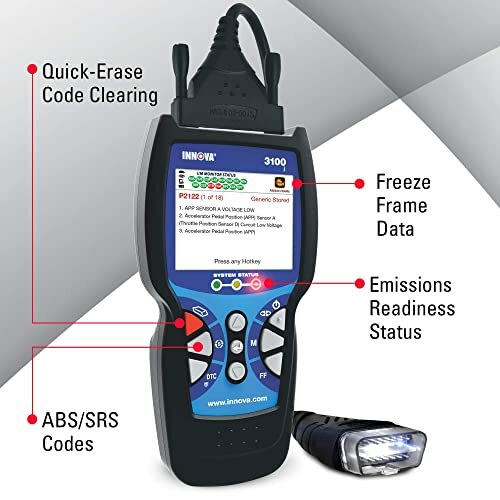 This ABS/SRS code reader was designed for any vehicle owner who needs to easily read and erase trouble codes on their engine. Like most ABS/SRS scanners, you will have easy access to read and erase trouble codes on your vehicle. Additionally, you will be able to check the battery and alternator of your vehicle by performing performance tests of the charging system. With freeze frame data you can check the vehicle fuel trim, engine coolant temperature and more. Turn off your check engine light, check emission readiness and reset your oil light with the Innova 3100j. However, users should know this is not a bidirectional scan tool, and this device does not allow for live data readings. Innova 3100j displays ABS/SRS Codes. The Innova 3100j pairs well with most American made vehicles with OBD2 from 1996 and newer. This includes light trucks, SUVs and hybrid vehicles. Unfortunately, this device cannot read and erase ABS/SRS codes on European vehicles. Quick reading- solve your vehicles problem within minutes and save the cost of the mechanic. Quality built- sleek design with large buttons and screen to make it easy to use. Thorough instructions– a well-written manual as well as access to RepairSolutions makes using this device easier than others. No live data– If you want to find real-time data of your engine, this device cannot assist. No European codes– This device is mostly built for OBD2 cars 1996 and newer that were manufactured in America. 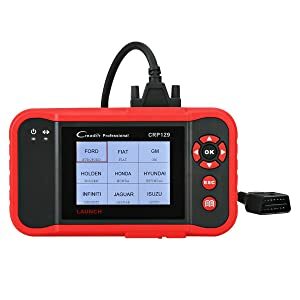 This new device is a beginner-level tool that was designed to help any vehicle owner or technician efficiently diagnosis vehicles. For trouble with ABS/SRS codes, the Innova 3100j is designed with all users in mind. 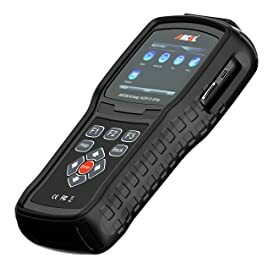 The Autel MaxiLink ML619 is a diagnostic scan reader for identifying faults on anti-lock brakes ABS, Airbag systems SRS, and also for OBD2 diagnostic reading. This ABS/SRS fault code reader has more advanced functions. Additionally, this scan tool has some more advanced features than past scanners. Take a look at the features and functions of this advanced device. Easily detect ABS/SRS system codes with this device and turn off the malfunction indicator light (MIL) after you clear the codes. You don’t have to settle for less, this is also an OBD2 diagnostic scanner that will indicate generic codes as well as manufacturer-specific pending codes. With the live data function, you will be able to graph live vehicle functions and if you like, store the data to print it from a PC. This device includes a small 16 GB SD card that allows you to read, store and playback data with freezeframe functions. Additionally, this Autel device is internet updateable and comes with upgrades to keep it working sharply and efficiently. The Autel MaxiLink ML619 can easily diagnose system codes on most 1996 and newer vehicle models. With extensive vehicle coverage, this auto scanner includes coverage for GM, Ford, Chrysler, Volvo, VW, BMW, Mercedes, Toyota, Honda, Nissan and more. Clear codes with ease– with quick and easy instructions, this scan tool has an easy setup and can clear codes fast. DTC definition book included– if you forget the meaning of a specific code, you don’t have to worry, this scanner is equipped with a manual. Clear screen, easy navigation- with a large LCD screen and clear prompt buttons, you can easily access everything you need. Affordable- with this scan tool you don’t have to empty your pockets to get a great tool. Update troubleshooting- Some users reported difficulties with updating this scanner in order to make it compatible with their vehicle. 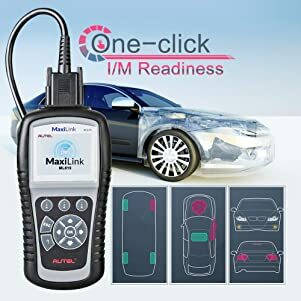 This Autel Maxilink ML619 is a basic code reader that can help all car users access data on the ABS/SRS codes of their vehicle. It is not a handsfree, Bluetooth device, so if you prefer handsfree, this device is not for you. However, for those users that don’t want handsfree, this basic scan tool can help vehicle owners, DIYers or technicians alike. For more advanced mechanics, this tool may not be what you need. The ANCEL AD610 Elite is a professional level OBD/EOBD diagnostic tool that will help users get an in-depth diagnostic scan on the engine of their vehicle. This tool is more advanced than some tools that have more automotive features and functions. This device is an OBD1 and OBD2 scan tool that can read and clear codes on ABS/SRS, SAS and engine systems. Also, this device can support all 10 OBD2 test modes. Some of those test modes include live data, O2 sensor test, and additional component tests. With the AD610 Elite, you can check electronic components on your vehicle and perform bi-directional tests such as ABS, SAS and actuator motor tests. With a multilingual menu and fast operating speed, you can quickly get clear access to vehicle information. For a wide vehicle coverage, this device may be the tool you are looking for. The AD610 Elite is compatible with OBD1 and OBD2 engines for cars, minivans, light-duty trucks, with coverage for 62 manufacturers. Coverage includes 2015/2016 models on 62 globally manufactured models. OBD1 and OBD2 functions- this device can work with a large variety of vehicle models. Wide coverage- you have access to 62 vehicle makes and models covered globally. Bi-directional testing– with other scan tools, you don’t have access to these types of tests. Free lifetime update– keep your device working as new with access to free lifetime updates. Lack of Customer Support- Certain users had issues with their device and did not find help from customer support. The ANCEL AD610 Elite is a more advanced diagnostic scanner that can do more than just the basic ABS/SRS scan tools. This device is designed with mechanics and car enthusiasts in mind. 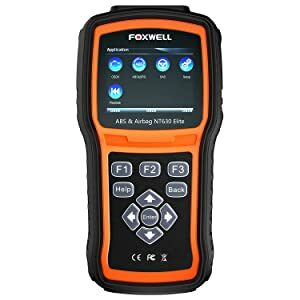 The Foxwell NT630 Elite is an advanced OBD2 scanner that can help you understand ABS/SRS and trouble codes that appear to cause your vehicle issues. 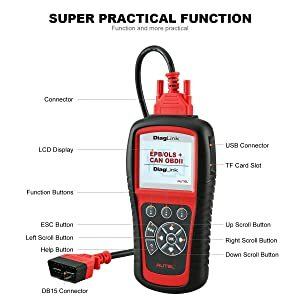 Additionally, with bi-directional functions, this auto scanner allows you to activate or control components on your vehicle that other scan tools may not permit. Read and clear ABS/SRS trouble codes that appear on your onboard diagnosis. IF you have recently changed or installed new equipment on your vehicles such as an ABS module or master cylinder, this diagnostic tool can help remove air by performing an auto bleed. With active testing, this OBD2 scan tool can allow you to activate and control ABS/SRS systems including switches, sensors, and actuators. Bi-directional functions allow you to not only receive information from your vehicle but also send information in order to improve functions. FOXWELL NT630 Elite OBD2 Scanner ABS SRS. The Foxwell NT630 is a scan tool that is compatible with almost all vehicles with OBD2 functions. This includes ABS and SRS functions for over 60 vehicle makes and models. However, users should know that not all functions work for every model and you can double check your vehicles compatibility with Foxwell support. Wide coverage– most vehicles are compatible with this device, over 60 makes and models supported. Bidirectional tests- this scanner goes beyond just ABS and SRS, it can also relay information to your vehicle. Upgrades and warranty– with lifetime updates you can always have the newest software on your device. Doesn’t work with 6V battery- check the voltage of your engine before purchase to ensure compatibility. This Foxwell NT630 is a device for mechanics in repair and maintenance shops. With wide coverage and advanced features, this device is recommended for expert users. The Launch CRP 129 OBD2 scanner for the most important engine systems on your vehicle. Once again, this device has more advanced technology and bi-directional functions which are not available with other scanners. Get rid of the illuminated engine light on your dashboard with this device, you can easily read and clear DTCs. Perform oxygen sensor tests and carbon canister tests to ensure your vehicle is ready for all emission services. Use this scan tool for the most important car systems, including the 4 basic systems of Engine, Transmission, ABS, and Airbag. Also included is the rest functions for oil rest, EPB, and SAS. You also will have access to live data steam which will give you a clear graphic display in order to easily monitor and analyze your engine. Additionally, you will receive access to one year of free update and upgrades online with the Launch database. The Launch CR129 OBD2 scan tool works on over 40 1996 US-made vehicles, and newer than 2000 European made OBD2/EOBD vehicles. Professional tool- Even mechanics have been wowed by this tool and all of its features. High-speed update- You can keep your device working properly with fast upload and upgrade time. Affordable– For the price of this scan tool, it is loaded with advanced features that might otherwise cost you more money. Not all functions are manufacturer specific- If you need more advanced features for certain manufacturers, this device cannot do it all. The Launch team is a reputable company for all their diagnostic products. This device is more advanced than other ABS/SRS basic scanners. A scanner is a great tool for automotive shops and repair shops and maintenance workers. The final product I will review is the Innova 3160g Code Reader. A large screen and handsfree functionality are just two reasons this may be your go-to product. 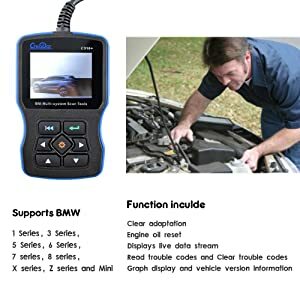 This OBD2 diagnostic tool is a professional level scanner that is perfect for the DIY repairman if you need to read and clear ABS/SRS codes. For a slightly higher cost, you are paying for a well-equipped diagnostic tool that can go beyond just basic code reading. First and foremost, like the other products you will be able to read and clear engine codes in the event of the engine light turning on. As well, you will be able to access ABS and SRS codes on all vehicles models that are compatible with the Innova 3160g. For all popular OBD2 vehicles, this tool offers step-by-step instructions for service light reset. Most importantly, with Bluetooth function, you will have handsfree access to live stream data to give accurate engine information with just one click. If you don’t want to go handsfree, this device also includes a lighted OBD port connector, making it easier for you to find the port. With free updates and repair solutions, you have all you need at your fingertips. This device will work with all domestic and foreign vehicle types from 1996 to the present. There may be some exceptions for certain functions, but the Innova 3160g is an upgrade from past models and will help you diagnose OBD2 vehicles. Bluetooth or not- If you like the option of going handsfree, you can skip the wires, or keep it connected. Free updates- with Innova you have access to updating and repair solutions that will help you find how to solve an issue. Read and clear ABS and SRS codes. No bidirectional technology- this scan only receive information from your vehicle, it cannot command functions. The Innova 3160g series is a diagnostic tool for all car enthusiasts and DIYers. If you enjoy Bluetooth technology while working under the hood of your car, this advanced auto scanner can help you forget about messy wire configuration. What are ABS and SRS codes? The ABS light is the light that is specifically connected to your anti-lock braking system. Therefore, an ABS code tells you if everything is running properly with your brakes. This is important because the ABS system helps assist your vehicle with maintaining control during stops. The SRS system is the system in your vehicle that deals with Airbags for your safety. An SRS code can be vital in telling you if your Airbags are working in the event of an accident. What is an SRS scanner? An SRS scanner is an automotive tool that can help you uncover what is happening inside your vehicle. In the case of SRS, this is very important because you want to make sure all safety systems are working as they should. Why should I buy an ABS/SRS scanner? With an ABS/SRS scanner, you have the ability to uncover why your SRS light is on and what you need to do in order to turn it off. You will figure out what is the problem with the brake or airbag system for passenger safety. This will, in turn, save you expensive fees from the mechanic. The first tool in this review is the most affordable, simplistic ABS/SRS scan tool. The FIXD auto scanner is a handsfree device that will save you money and help diagnose the foreign language of car diagnostics. If you’re not a fan of bluetooth OBD2, corded devices can be helpful. You have found the best product review above with price range from low to high. Thus, I hope you can find a suitable ABS/SRS scan tool with ease.